The price of wholesale gas dropped last week thanks to a spurt of warm weather experienced throughout the country according to Reuters. Demand is expected to fall again towards the end of this week as warm weather has been predicted again for the forthcoming weekend according to the Met Office UK. Delivery on Thursday of last week fell below the 60-pence mark at 59.50 pence per therm at 0820 GMT while gas prices at the weekend fell to more than once pence to 58.10. One utility gas analyst said: "It's due to get a lot warmer over the next several days, which will sap demand. Consumption should drop significantly going into next week. There's also still an awful lot of liquefied natural gas (LNG) being sent out." 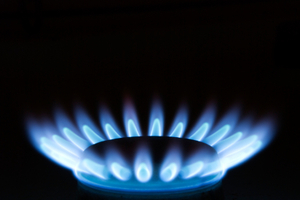 Recent conflict in the Middle-East could have an effect on gas prices at the moment with the cost of crude oil rising but hopes are that with the summer months upon us, the country could save some money on home gas bills.